Since the demise of Eden Naturopolis late last year SLN HQ has been a skybox. While it has been fine in terms of SLN staff (and my naturist friends) having a location, it removed us from being part of a naturist community, and a commitment to be integrated into SL’s naturist community is part of what we’re about! It is only through engagement with other avatars that we can successfully promote the naturist ideal. Not all SL ‘naturists’ actually are RL naturists, and sometimes people get an odd idea about what naturism is all about. This is a thing that Ella continually tried to make clear in her posts, and I’m glad to see GG and Flo are continuing to promote a genuine naturist philosophy, but with their own twist on things. I’m delighted to say that, as part of our need to engage with a SL naturist community I’ve moved SLN HQ to Lake Nekid, one of the few remaining genuinely naturist locations in SL (Su Casa and Lupes pretty much completes the list). I expect to have completed the move from the skybox within the next week and Lake Nekid is the location we shall call home for the foreseeable future! 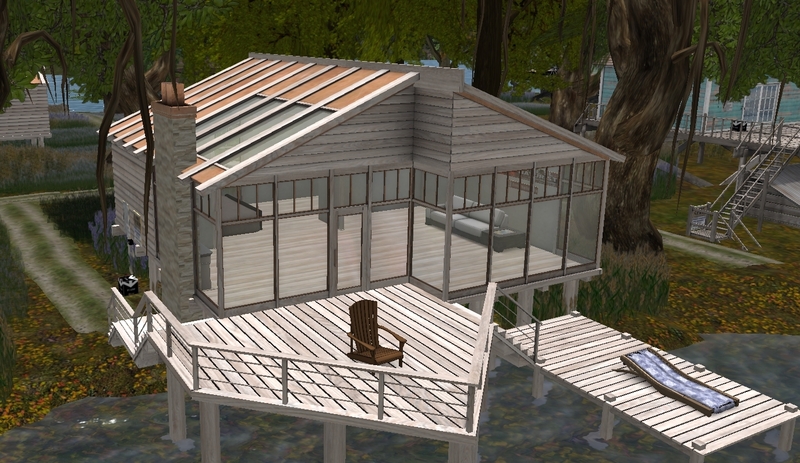 SLN operations will centre on this, my new SL home and SLN centre of operations. If you’re a member, visitor, neighbour there, drop by and say hello! Staff photographer Susie has already dropped by to take a few photographs as the move continues. I’ve not actually met any of my new neighbours yet (and it could be a while, GG, Flo and Susie are all likely to have made firm friends with them before I meet them, such are my irregular visits inworld).